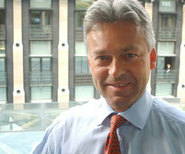 Alan Duncan is a member of the shadow Justice team as shadow minister for prisons and probation. Prison reform by reducing reoffending is an area where a changed Conservative Party intends to make a massive difference. Some progress has been made in the last thirteen years, but still our prisons are on the brink of crisis. The Government recently announced the end of its reckless early release scheme – apparently having been advised that it would have to be re-introduced after the election. It is the irresponsible action of a government that has long put political expediency ahead of the national interest. But there is an even deeper problem at the heart of the prison estate. The ideal of a criminal justice system which makes any significant contribution to reducing reoffending is a long way off. Every year over 300,000 offences are committed by those released from prison during just the year before; and half of all crime is committed by those who have already been through the criminal justice system. Too many prisoners are simply going in and out and in again. It is a disturbing waste of lives and money, and has no place in a modern, civilised Britain. I found myself in Peterborough and Holloway prisons last week. The staff at both work very hard, but it was also clear that a prison can only be as good as the flaws in the system allow: overcrowding across the prison estate means around 200 of Peterborough’s prisoners are actually from London, cut off from their families and future employers; a lack of diversion into proper treatment means 70% of prisoners have two or more mental disorders; a country plagued by drug abuse, and again, a lack of diversion into proper treatment, means the young mother I met in HMP Holloway and her 3-month-old baby are both behind bars; no support post-release and no job to go to had led Susan, another prisoner, to complete a sentence for shoplifting, only to be released and do it all over again. The depressing examples are endless. Yet failings are easy to moan about, particularly when solutions are hard to identify and implement. Change will of course be difficult, and require tremendous political will, but we can and must try. Reducing reoffending is our aim above all, and to achieve it we need a rehabilitation revolution both in and outside prison - before, during and after custody. Alan Duncan, MP for Rutland & Melton and Shadow Secretary of State for Trade & Industry, looks at the issues surrounding the sale of British Energy and urges the Government to clarify its position on the potential buyers. British Energy is up for grabs. Who should be allowed to grab it? Rumours, speculation and briefings have excited the market this week, as the net continues tighten around the UK’s remaining bastion of nuclear power. From being a basket case only a few years ago, British Energy is now a flagship company running nine ageing nuclear power stations. Initially the French champion EDF appeared to be the firm favourite when it was reported that they were seeking to acquire the entire company. RWE nPower, the German giant, has since emerged as a powerful bidder. In the middle, just looking at buying out the Government’s 35 per cent stake, are Centrica. The British firm play a weaker hand, with less cash and less experience in the nuclear market; but, critically, their national status strengthens their role as possible kingmakers in shaping UK nuclear power. An alliance between Centrica and BE would maximise British control, maximise competition in the energy sector and maximise the flexibility Britain would enjoy in optimising the structure of its nuclear power sector for the future. Tomorrow ConservativeHome launches a website dedicating to holding Gordon Brown accountable for his years as Tony Blair's head of domestic policy. Today Alan Duncan MP - Shadow Secretary of State for Business, Enterprise and Regulatory Reform - sets out a case against the new Prime Minister. Gordon Brown must be feeling very happy at the moment. After a lifetime of ambition he has finally reached the top of the greasy poll, and his reaction to floods, bombs and foot and mouth have made him, at least for the moment, king of the bouncy castle. In contrast, after a year in which he could do no wrong, David Cameron is being attacked as someone who can now do nothing right. Each of these positions will not last forever. Politics will soon settle into a clearer and more evenly matched contest. Gordon Brown was always going to prove more formidable than many people thought, but that does not mean that he is unbeatable. Gordon Brown is a socialist. However hard he might try to hide behind the political cross-dressing of his predecessor, there is something about Gordon Brown which makes him unable to disguise his underlying approach. Fundamentally, Brown would rather tax something than not. If ever there is a choice between the State doing something and an individual doing it, he'd rather the State did it. In the face of challenges such as poverty or poor pension provision, instead of entrusting solutions to the individual or the market, he would prefer to find solutions through the apparatus of the State.